Twintec Plus is a unique system based on the concept of diamond polished concrete. The Twintec PLUS transforms your old concrete floor to a visually attractive, low maintenance, costing saving, dust free and hard floor that becomes more resistant to wear and traffic. Twintec Saudi recently completed Twintec PLUS works for SADAFCO’s Jeddah Central Warehouse project located in Jeddah. Twintec PLUS micro-grinding and polishing system is the ultimate concrete surface enhancer. 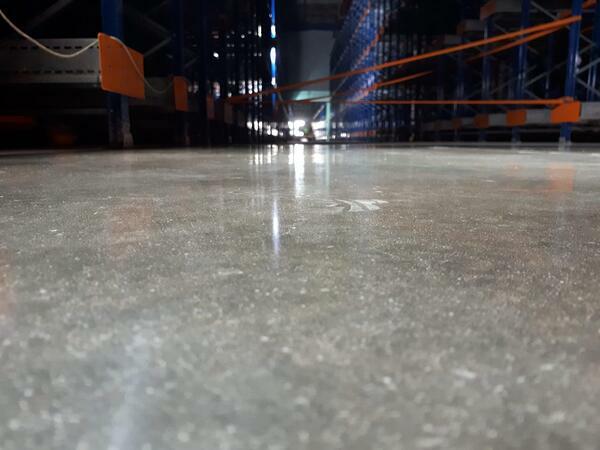 it combines diamond grinding to remove the micro-roughness of the slab with the application of uniquely developed Densifer and Protective Sealer. Unlike other products that coat the top of the floor slab Twintec PLUS treatment will become part of the floor - it won't chip, flake or wear off. Twintec PLUS available worldwide with the local Twintec Group companies. Email mail@twintecgroup.com to connect with your local technical sales team.